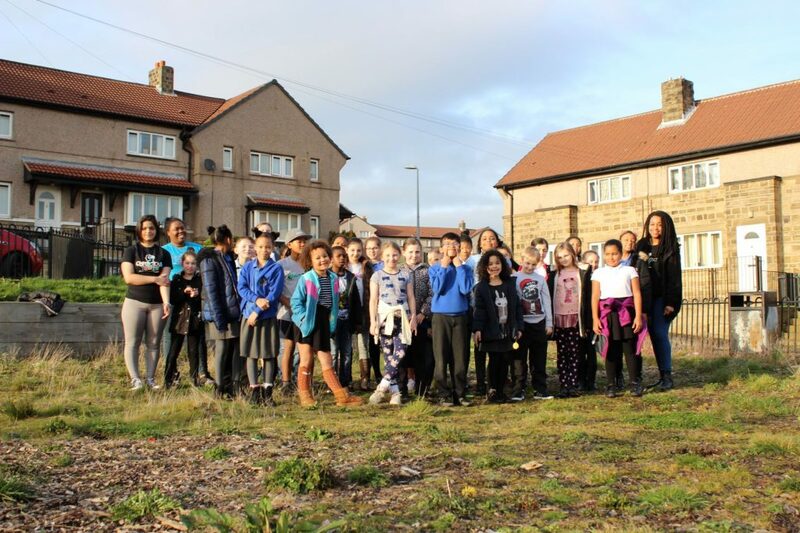 A defunct play park in Deighton, Huddersfield, is set to be reinstated with a £25,000 of Home Office money following a campaign by children, teenagers and social enterprise Conscious Youth. The news comes as Kirklees Council proposes widespread cutbacks to local play areas – particularly in the Ashbrow ward, which is set to be the hardest-hit in the borough, losing equipment in 13 parks. The Riddings Road park used to have swings, slides, a see-saw and climbing frame – but all were removed without notice in 2016, after problems with vandalism and rotten wood. Conscious Youth, which runs the Conscious Kidz youth club at the nearby Chestnut Centre, recognised the ‘devastating impact’ for local children and encouraged them to take action. A group of 23 eight to 12-year-olds formed a campaign group, ‘Bring Back Our Park’ and – with support from Conscious Youth – enlisted backing from the council and Cummins Turbo Technologies, before appealing to the Home Office for funding. Conscious Youth joint directors, Sophie Simpson and Serena Johnson broke the good news to the young campaigners on the site – and were met with cheers and delight! Now plans so far will be shared with the wider community, at a consultation, and details finalised, before work gets under way. Sophie Simpson said: “Ashbrow, which includes Deighton, is in the UK’s 20% most deprived council wards. We’ve seen cutbacks in youth provision here and a rise in crime and gang violence. Initial proposals are for a new, low-maintenance space suitable for all ages, using timber and stone. Cummins Turbo Technologies will support landscaping and site preparation. The council will oversee work including the installation of play equipment and features, which is set to include an imaginative climbing structure and an ‘enchanted woodland’ perimeter. Serena Johnson said: “When the new park is complete, the whole community and partners will be invited to an official opening. We can’t wait!